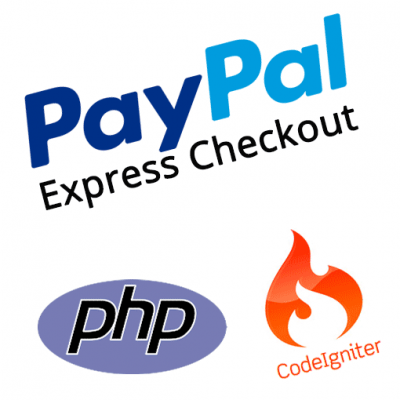 Get an in depth look at how to integrate PayPal Express Checkout into CodeIgniter PHP applications with this fully functional demo kit. 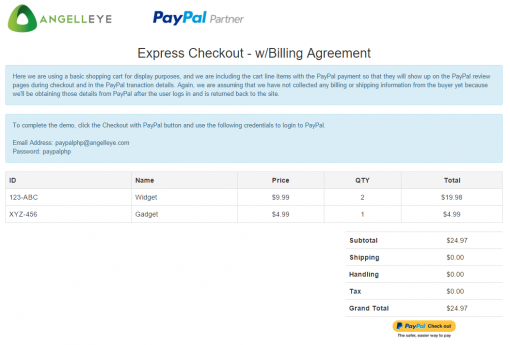 PayPal Express Checkout is the most popular method of integrating PayPal payments using web service APIs. 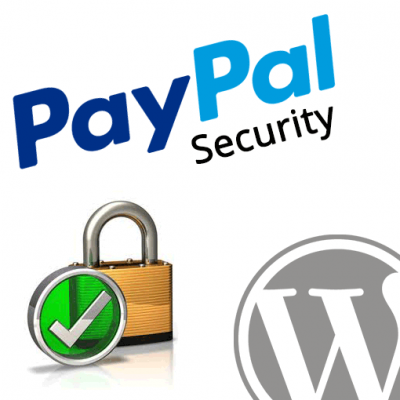 It has many advantages over PayPal Standard including advanced features and flexibility. In this demo we take advantage of some of these advanced features to create a billing agreement for the buyer. This enables us to process future payments on the buyer’s behalf without further approval using a Reference Transaction. Our FREE CodeIgniter PayPal Library includes basic samples of many PayPal API calls that work out of the box. 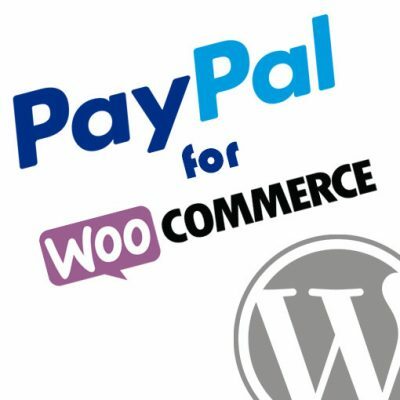 These samples are simply the individual calls on their own, though, and may not provide the necessary guidance if you are not already familiar with the PayPal API calls you will be working with. 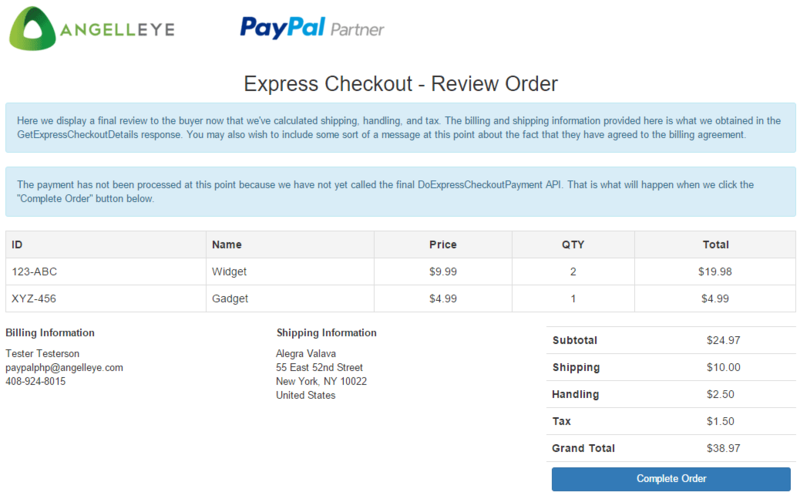 This demo kit is based on our CodeIgniter PayPal Library, but it includes a fully functional static shopping cart displayed within a basic Bootstrap design, and the PayPal Express Checkout APIs are fully integrated into this demo. This provides an in depth look at exactly what calls are made and when within the process of a shopping cart checkout in CodeIgniter. This demo kit includes a PayPal Express Checkout integration that includes a billing agreement so that you may process future payments using reference transactions. Shopping cart with items is displayed. API call to setup the PayPal checkout is made and the buyer is redirected to PayPal. 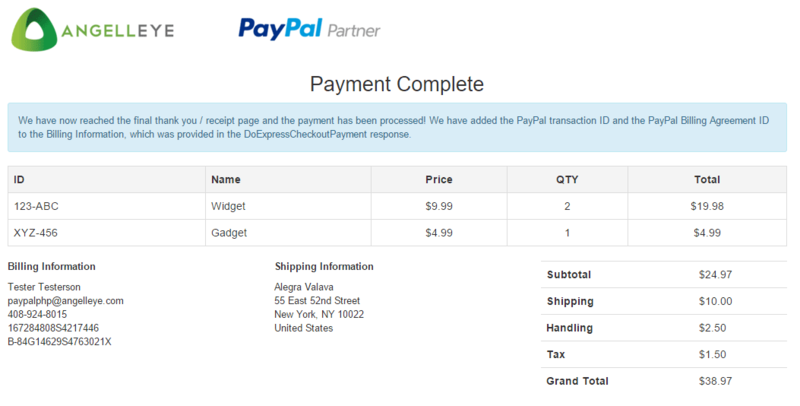 Order totals, description, individual shopping cart line items, and billing agreement parameters are all included in the payment request to PayPal. Buyer logs in and reviews the order/payment details. 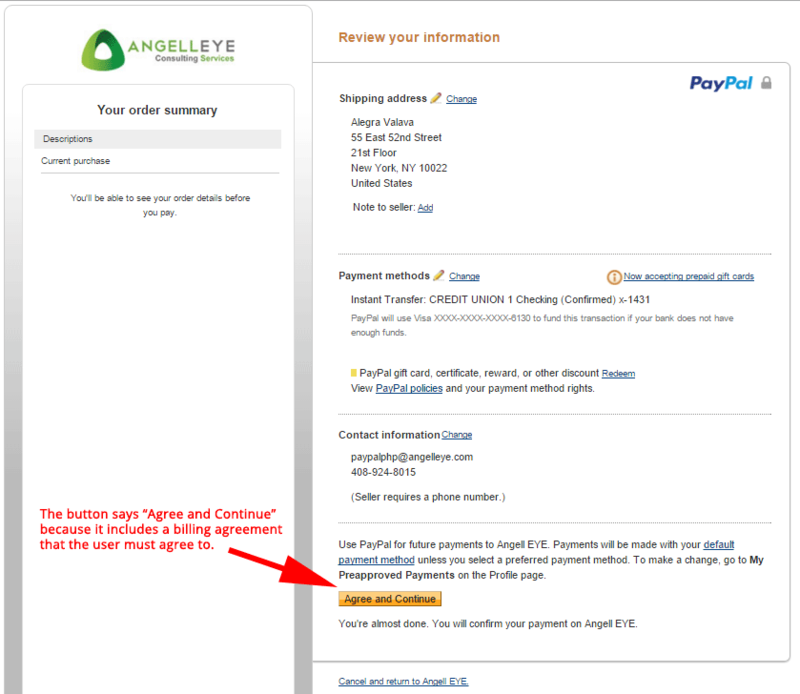 The buyer will see a message about the billing agreement, and the button on the PayPal review page will say “Agree and Continue”. Buyer is returned to site and API call is made to gather buyer’s information (ie. contact info and shipping address). Final review is displayed with shipping and tax amounts included. 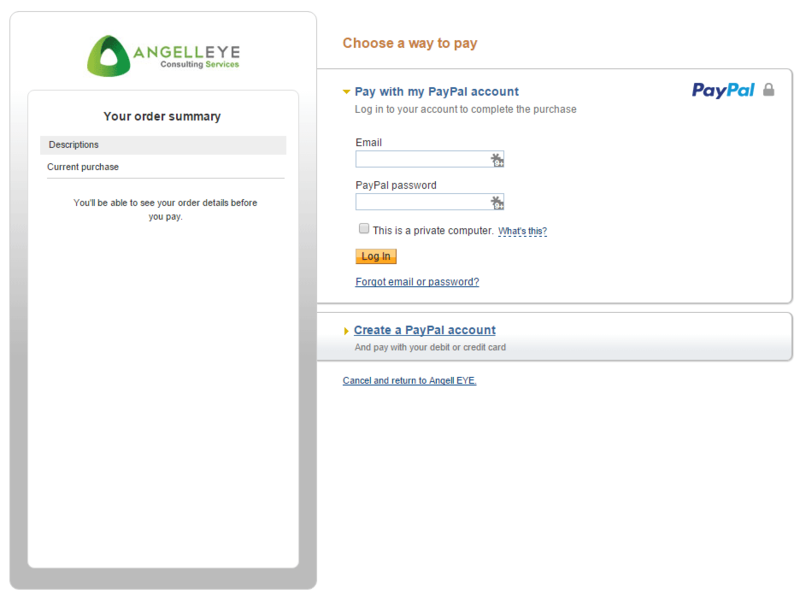 API calls is made to finalize the order and process the payment. 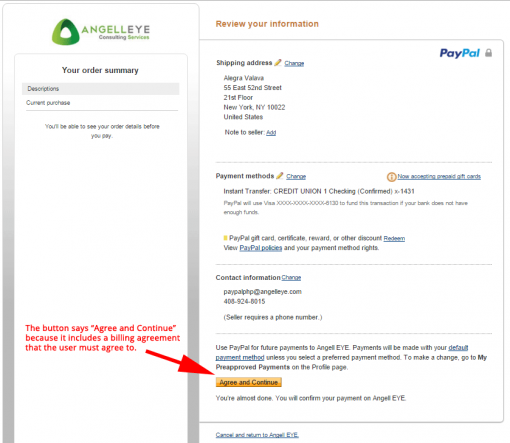 A payment complete page is displayed which includes the order details and the billing agreement ID that was generated with the order. A basic form is displayed here to demonstrate the use of a Reference Transaction. You enter a new amount to process and click a button to automatically process that amount without any additional logins or approval from the buyer. 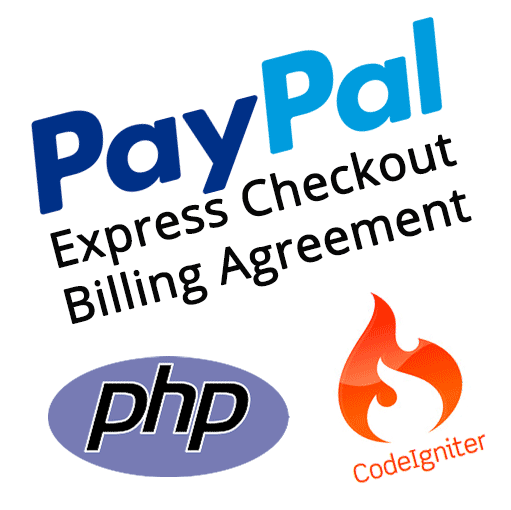 For more advanced features of Express Checkout and other PayPal APIs take a look at our CodeIgniter PayPal Demo Kits collection.